Clint was professional and highly skilled. Clint installed a new air scrubber and the process was thorough and outstanding. SSI also installed my entire furnace/AC system 2 years ago and it has been trouble free and reliable. Clint is awesome! My wife and I were VERY impressed with his attention to detail, and taking time to explain items, answering any questions we had. Mark B. from SSI HVAC did an excellent time. He and his helper arrived on time, completed job quickly, and explained eveything completely. Thanks to Jake, Jacob, and Brendan for a job well done!!!!!!! Wrote my review but "post review" didn't seem to work. Gene the plumber found the problem (where 2 other plumbers before him did not), and quickly fixed it. Pete B. Is a great Tech. He is courtesy and professional. He is also a fun guy. His install of two bathroom sink drains was complete after his re-visit the next day. Great service! My air was up and running in about 30 minuets. The job went well until Joshua left.We later discovered a small leak in the drain he installed. I had to call SSI to fix the leak. 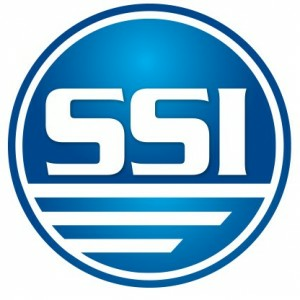 SSI has a wonderful staff of professional technicians and customer service representatives. They responded quickly to my initial online inquiry for service and had a technician out the 10 hours after my email to fix my HVAC problem. Fred was very professional and competent. I will be asking for him for my HVAC needs and am now in the membership club at SSI. Thank you Fred! Joe R. was awesome! Quick, professional and kind. Would highly recommend. I needed a complete system installed (gas furnace and a/c). Mark B and Reid. M were awesome. They arrived on time and were so pleasant, helpful, and informative to me. Answered and explained all questions. Job was an all day thing but they were efficient and thorough. Would recommend SSI svcs to anyone.